Please join us for the 2018 International School Grounds Alliance conference in beautiful Yokohama, Japan from November 16 - 18, 2018! In mid-November, ISGA's Leadership Council members from Japan will be hosting our 7th global conference on school grounds! We hope you can join us! The conference will convene ISGA members, educators, landscape designers, and others from across the globe in Yokohama, Japan, from November 16 – 18, 2018 to explore the value of school grounds for children to learn about the world! Twenty-six speakers from eight countries will share their experiences designing, building, and using school grounds for learning and play. And you won’t want to miss the excursions, which will visit fourteen nearby school grounds and cultural sites. Presentations, discussions, and tours all included in your registration fee! Hosts: The conference will be hosted by ISGA and Association for Children's Environment, Kanto Branch. The event will be co-hosted by the Association for Children's Environment. Friday, November 16th: The conference will kick off with a choice of day-long excursions to local schools in the Kanagawa, Tokyo, or Chiba areas, near Yokohama. Each trip features several schoolyards with different attributes: forest kindergartens, edible gardens, grasslands for nature play, and even a mountain! Saturday, November 17th: The second day of the conference will be held at Tsurumi Junior College, and will begin with two fascinating keynote speakers. 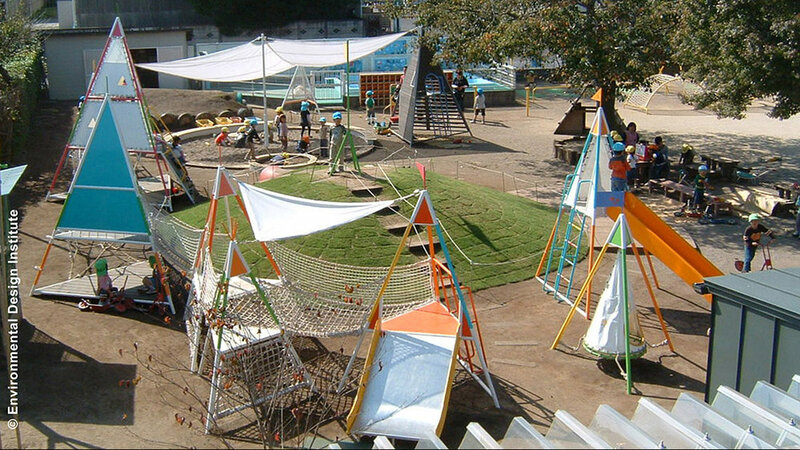 Professor Akemi Miyazato, Headteacher of the preschool at Ochanomizu Women’s University in Tokyo, Japan, will speak about the intersection of preschool grounds with creativity, play, and life. Susan Humphries, First Headteacher of the famed Coombes School in Arborfield, Reading, England, will talk about the impact of school grounds on children’s learning and lives. After the keynote speakers' presentations and a visit to Tsurumi Junior College's forested preschool grounds (designed by conference director, Dr. Ko Senda), conference participants will attend an International Symposium on Edible Schoolyards, or they will select a half-day tour to see local schools (Yokohama's first school biotope) or nearby Soji-ji Temple for a visit to experience Zen meditation. A Welcome Dinner of foods with local vegetable specialties from Yokohama completes an extraordinary day! Sunday, November 18th: On the final day of the conference, attendees will be treated to an array of short presentations, workshops, and poster sessions—a wonderful opportunity to expand your knowledge of school grounds and how they are being used by schools around the world. Conference presentations will be in Japanese and English. Interpretation from Japanese to English will be provided for sessions and tours. The conference is being hosted by the International School Grounds Alliance and the Association for Children's Environment, Kanto Branch. The Association for Children's Environment (national) is co-hosting the event. Note: When enrolling, please be sure to complete the registration page to indicate your preferences for the school tours and other special sessions held on November 16th, 17th, and 18th. Also, if you would like to participate in the poster session during the conference on November 16th and 17th, please indicate your interest when you register. For more information, including a list of excursions and speakers, please visit the conference website. We hope to see you in Yokohama!